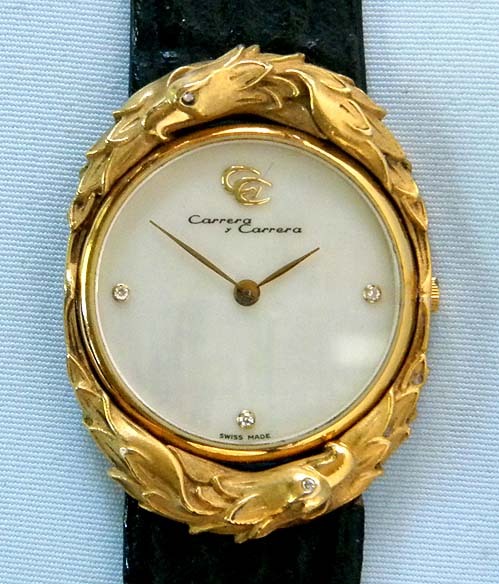 Distinctive Carrera 18K gold and diamond wrist watch circa 1995. 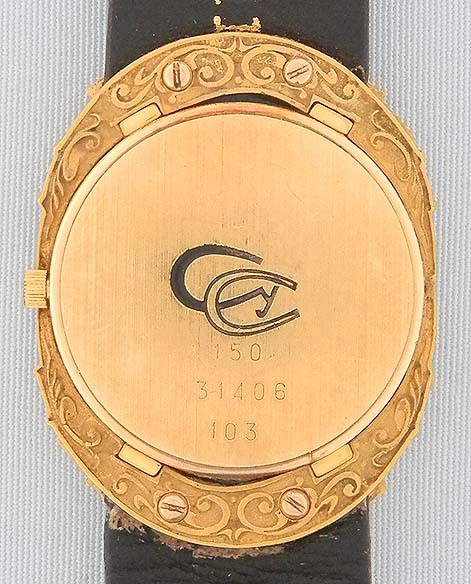 Mother-of-pearl dial surrounded by two eagles with diamond set eyes. Heavy case. Quartz movement.